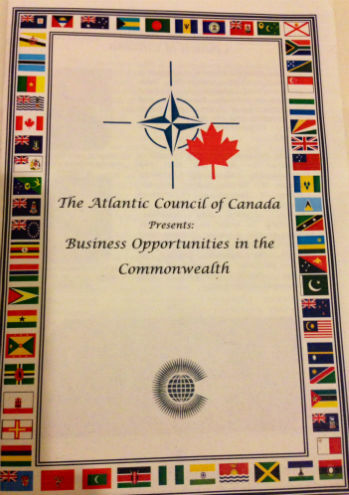 Tim's extended essay is now available from the Atlantic Council of Canada's Business Opportunities in the Commonwealth event in August 2013. You can read it here. Canada is primed to seize the Commonwealth advantage. It has the ability to pivot from the traditional Atlantic and the Caribbean, whilst looking to the African continent, and then simultaneously turning to the Pacific. Therefore, Canada is uniquely placed to be the new centre point of the Commonwealth.